Binary search: Allows you to search for binary patterns with wildcard support. 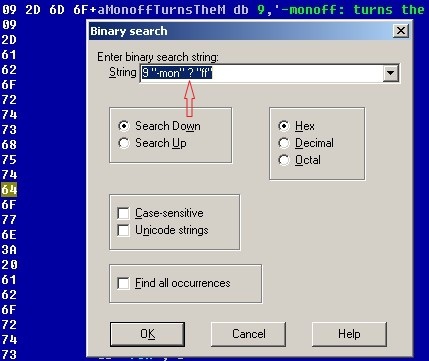 It is also possible to search for strings alongside with the binary patterns. Immediate search: Very useful to find constants and magic numbers used in the program. None of the existing search facilities allow us to readily search for instructions and opcodes. In order to do that, one has to assemble the instruction in question then use the Binary Search to find the pattern. //  bool use32 - is 32bit segment? Once this callback is implemented by the processor module one can then assemble instructions by calling the ph.notify() with the assemble notification code (please check this forum discussion here). 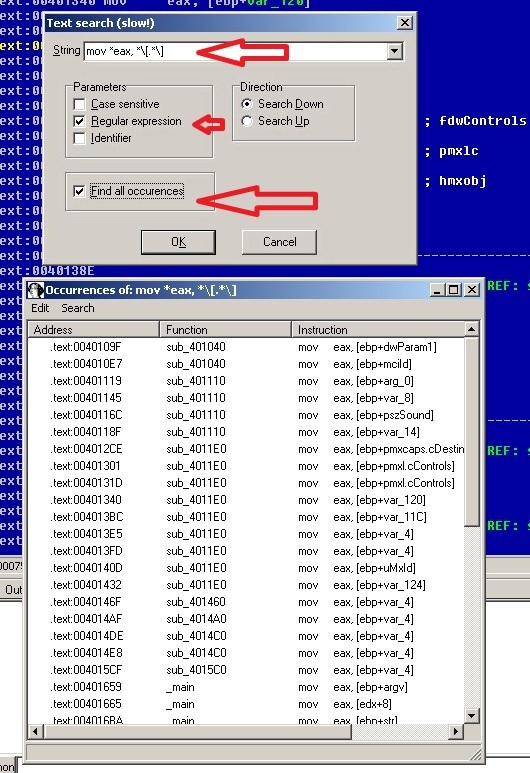 Currently, only the pc processor module implements this callback and provides a very basic assembler. The script uses the Assemble() function (available in IdaPython r233 and above). Comments and suggestions are welcome. In this post, we are going to implement the method entitled “Manually Walking a Stack” described in the MSDN. While this approach does not always give accurate results, it is still possible to get a fairly correct call stack. 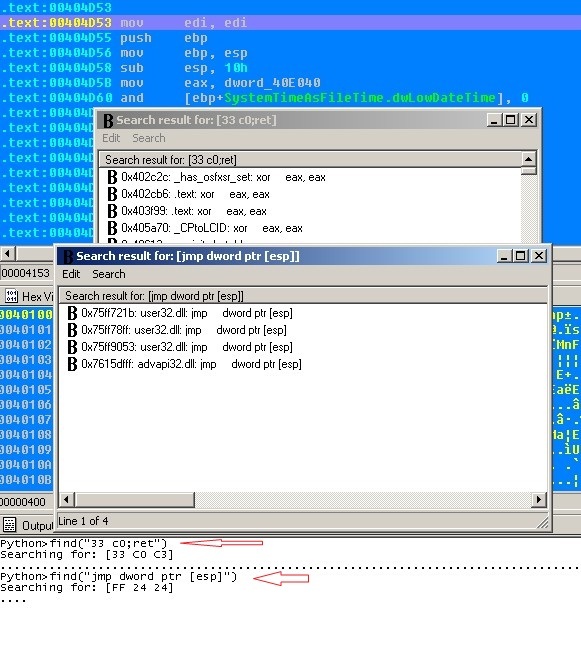 With IDA, one can use the command line interface (CLI) not only to type scripting related commands but also to send debugger specific commands to the current debugger plugin. Although the topic mentions device drivers, you do not have to know much about drivers to learn something new from this post.